It wasn’t that long ago that the idea of a McLaren SUV was absurd, a pipe dream for the lunatic fringe that indulged in fevered fantasies about jacked-up sports cars tackling the great outdoors. These days, though, it actually makes a lot of sense. One of the best examples comes from Porsche, which unveiled the mid-size Cayenne back in 2002 and promptly destroyed all expectations by simply cleaning up in sales. So then – it would seem as though demand for a “traditional” sports car ebbs and flows, while the SUV segment continues to entice buyers across the board. No surprise then that a host of manufacturers best known churning out high-end sports cars is turning to the SUV body style as a reliable source of income. 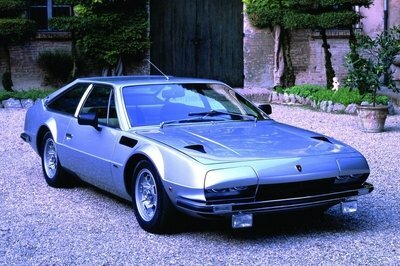 Some of the latest to jump on the bandwagon include Alfa Romeo, Maserati, Jaguar, and even Lamborghini. Could McLaren be next, and if so, what would a McLaren SUV look like? To find out, we drew up a rendering and did a little daydreaming in the following speculative review. Before we go any further, it bears mentioning that McLaren has flat out denied any interest whatsoever in the business of building SUVs. Sports cars and supercars are its game, and it’s gonna take something big to change McLaren’s mind in the matter. At the same time, McLaren says it plans on building as many as 15 new models by 2022. So what if one of those was an SUV? Continue reading to learn more about McLaren SUV. ICYMI: The Next McLaren Ultimate Series, Code Named P15, Will Debut This Saturday! It might be taller and bigger than a traditional McLaren sports car, but the styling we see in our rendering is unmistakably derived from the current language currently employed over there in Surrey. 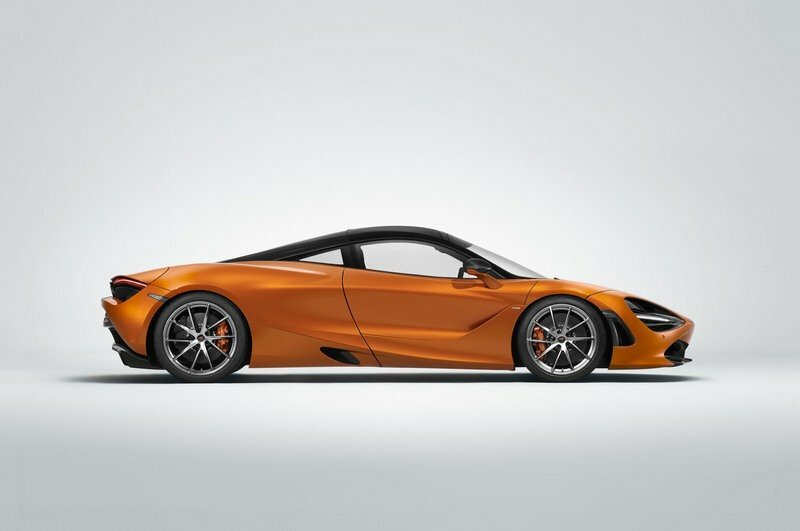 The most obvious similarities can be drawn to the 720S, McLaren’s upper-mid-range Super Series entry. 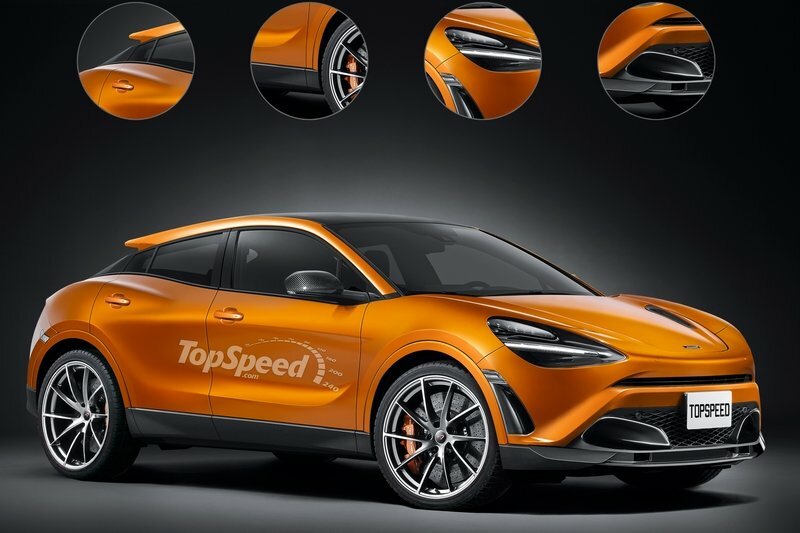 Note: McLaren 720S coupe pictured on the left, McLaren SUV rendering pictured on the right. Check out that front end – notice the headlights? Both models come equipped with similar triangular housings, visually narrowing the nose into a sharp, downturned point. LEDs will be used for the lighting elements, including the horizontal daytime running lights. The hood also gets the same intake element as the sports car, seen above and behind the fender, while a vertical vent was also added ahead of the fenders and in the bumper. 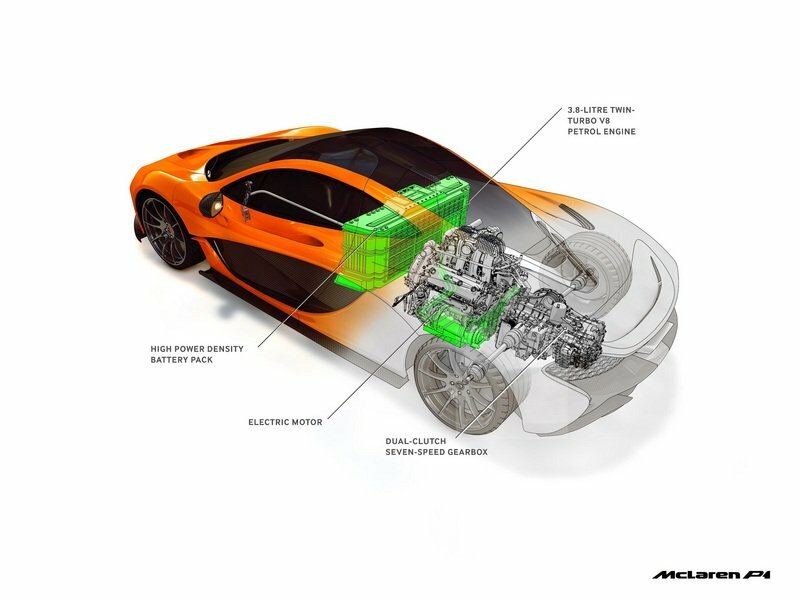 Speaking of the bumper, the McLaren SUV uses rounded intake elements in the corners, again, like the sports car, but the size of the central intake was increased dramatically to accommodate additional cooling for the front-mounted engine. The lower splitter should also offer some decent aero grip at speed, as well. Large rollers are in the corners, once again mimicking the style of the 720S and offering up a lightweight construction. The lower edges of the SUV get a matte-black treatment to help ward away errant rocks and grit, just like many of the competing softroaders out there. The shoulder line follows a 720S-esque double-wave form, falling from the front fenders then rising again into the rear fenders. The whole thing gets a racked stance, while carbon fiber side-view mirrors add a dash of motorsport-themed goodness. The roofline is gets a “floating” design with blacked-out C pillars. The shoulder line follows a 720S-esque double-wave form, falling from the front fenders then rising again into the rear fenders. 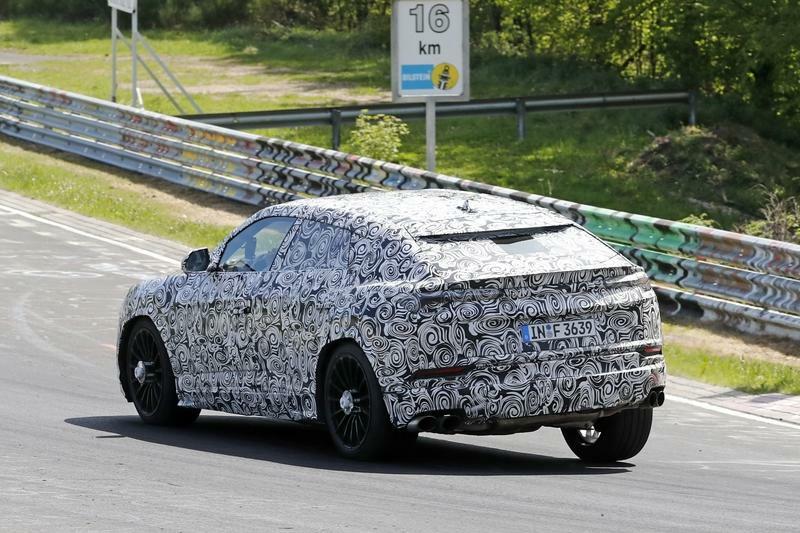 In back, we expect to see slim taillights, once again equipped with LEDs, as well twin exhaust pipes and a lower diffuser element in a matte-black finish. The trunk opening will be comparably small to accommodate the sloping roofline, while up top, the roof will get a black finish (possibly with further carbon fiber to reduce weight where it matters most). Finally, our color of choice happens to be McLaren’s traditional metallic orange, the same hue used on the M6A Can-Am car and Bruce’s F1 car. Note: McLaren 720S interior pictured here. 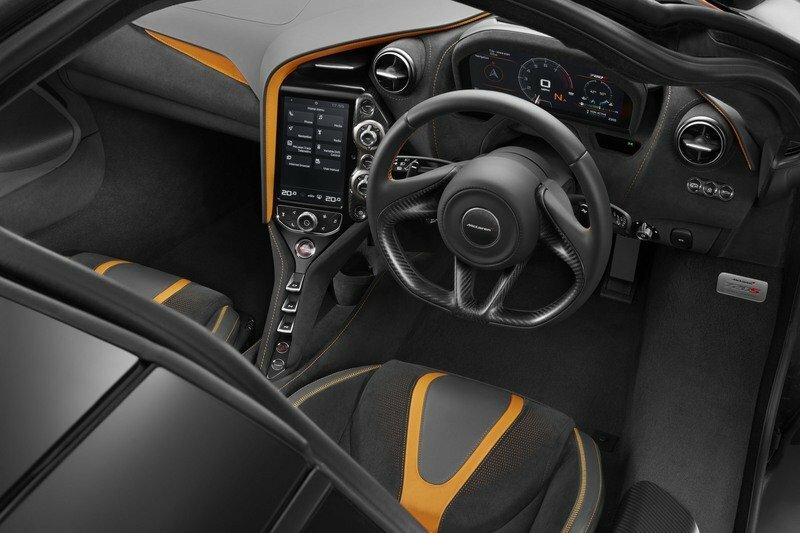 McLaren’s interiors tend to be rather straightforward affairs, at least compared to the brand’s major supercar rivals, and we would expect something similar from the automaker’s SUV. That means lots of premium touches, plus the requisite performance cues, all with enhanced space and comfort aligned with standards in the segment. The approach combines the usual high-end materials, like leather upholstery, aluminum hard bits, and contrast stitching where appropriate. Carbon fiber details and surrounds should also play well here. The button layout should include a vertical central tunnel element with flipper-style switches. Ambient lighting in the dash, door panels, and foot wells add extra zest. McLaren will need to step up its infotainment game if it plans on offering an SUV. Behind a flat-bottom, three-spoke steering wheel, the gauges will be all digital, while a plus-sized touchscreen is mounted into the center console. 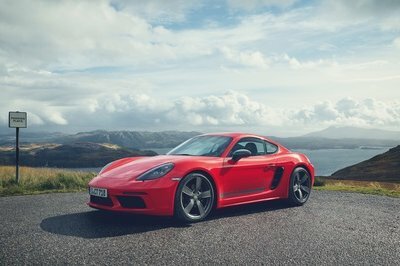 McLaren will also need to step up its infotainment game if it plans on offering an SUV, with stuff like smartphone integration (Apple CarPlay and Android Auto would be a big plus), satellite radio, advanced navigation, voice recognition, and all the other traditional features making an appearance. McLaren might even toss in a few autonomous safety systems, like adaptive cruise control, lane-keep assist, and automatic braking. Space for three passengers in the rear will provide extra practicality, while heated and ventilated seats might be optional. And as previously stated, the rear cargo area will be relatively small compared to other SUV’s, but hey, that’s the price you gotta pay for beauty. Note: McLaren 540C engine pictured here. It’s uncertain what McLaren might go for in terms of engine spec for its first SUV, but if we were to guess, the powerplant in the 540C might be a good place to start. That model gets a twin-turbo 3.8-liter V-8, detuned over the spec in the 570S to produce 533 horsepower and 398 pound-feet of torque. That’s roughly a 30-horsepower and 45 pound-feet drop compared to the more-powerful 570S, but it’s still an impressive lump of go, all things considered. Properly applied, the 3.8-liter V-8 propels the 540C to 62 mph in 3.5 seconds, with top speed clocking in at just under 200 mph. For an SUV, it’s possible McLaren might raise the stakes by hybridizing the V-8 to get a little more power without detracting from overall efficiency. Believe it or not, McLaren has already declared its interest in offering hybrid power outside the confines of the outrageous P1, and an SUV would be the perfect application for that. As such, at least 575 horsepower feels about right, with the heavier SUV body style slowing acceleration figures to the low-four-second range, although high 3’s is also a possibility. McLaren has already declared its interest in offering hybrid power outside the confines of the outrageous P1, and an SUV would be the perfect application for that. It would also make sense if McLaren replaced the traditional RWD drivetrain with an advanced AWD system, just like the rest of the competition. Of course, in conjunction with the hybrid system, that would make the McLaren SUV even heavier and more complex, which no doubt speaks to the brand’s reluctance to dive into the segment. However, I’m confident McLaren has the know-how to make even a tall-bodied, AWD SUV handle relatively well. Adaptive suspension will play a major role in this, reading the road through a variety of sensors and adjusting stiffness settings to compensate as appropriate. Expect multiple drive modes to suit the conditions. 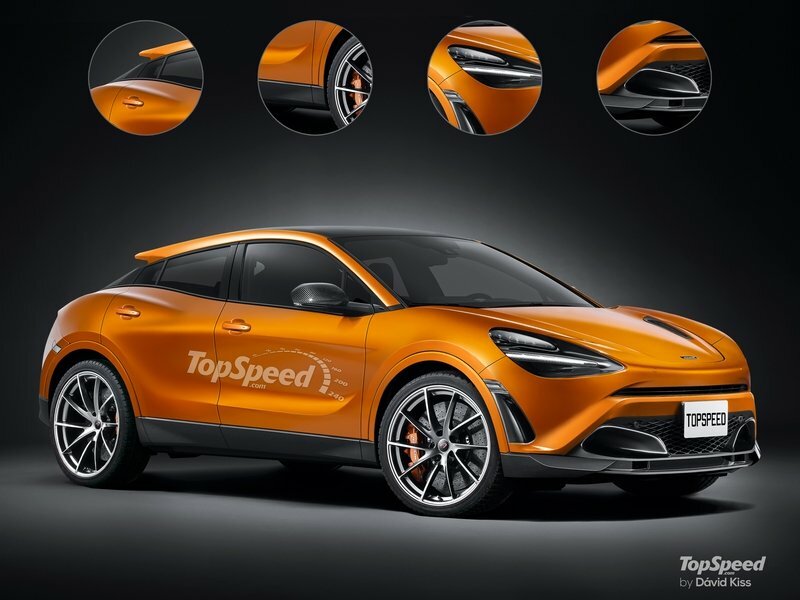 Perhaps McLaren would even include an off-road mode that raises the ride height and locks in the AWD, just to underline the weirdness of a McLaren SUV even further. If you wanna buy a McLaren, odds are you’ve got a little extra stored away in the ‘ole bank account. Pricing for something like this would probably slot in at around $200,000, with optional equipment bumping that figure up an extra $30,000 or more if you get overzealous with the accessories. 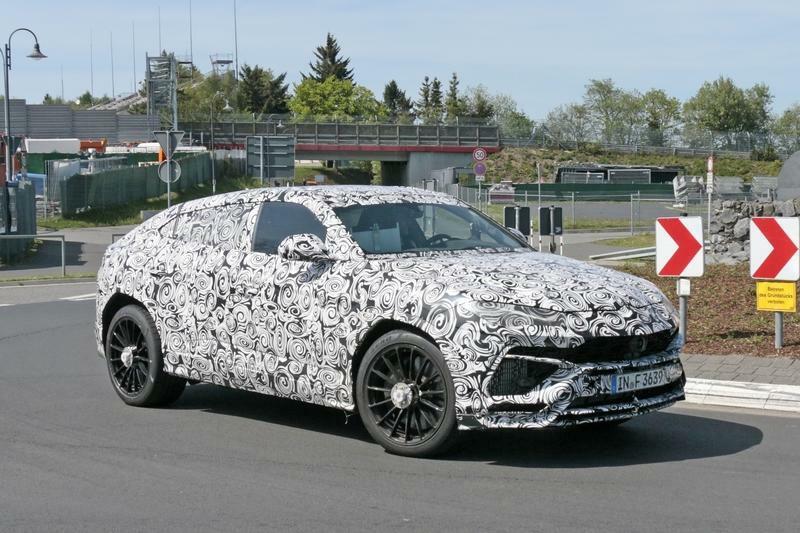 Without a doubt, the number one competitor for a McLaren SUV comes from rival supercar maker Lamborghini, which is currently gearing up to unveil its own entry in the segment. Dubbed the Urus, this raging bull crossover packs oodles of carbon fiber for the exterior, lightweight 24-inch wheels, and a geometric design for the interior. Providing motivation will be a twin-turbo V-8 displacing around 4.0 liters. Output should be around 600 horsepower, which will route through a dual-clutch automatic transmission and AWD system for a sprint to 60 in less than four seconds. 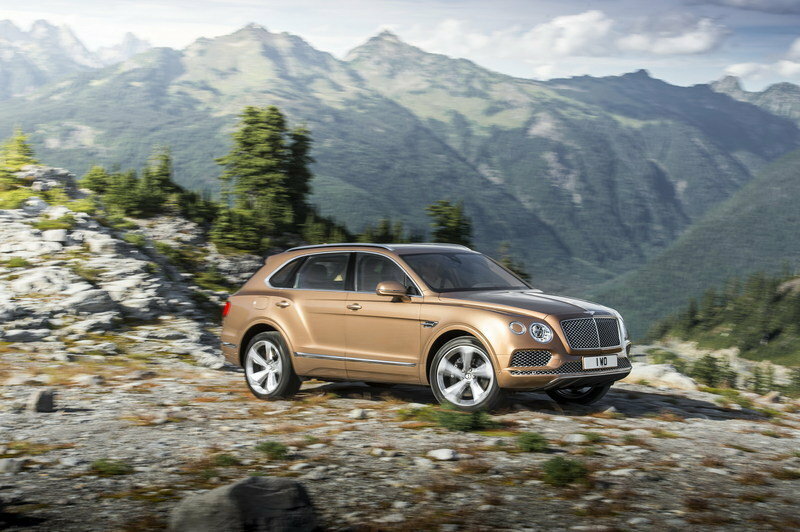 While we wait for final official confirmation from Lambo on what the Urus will offer customers, Bentley is already in on the game with the Bentayga. 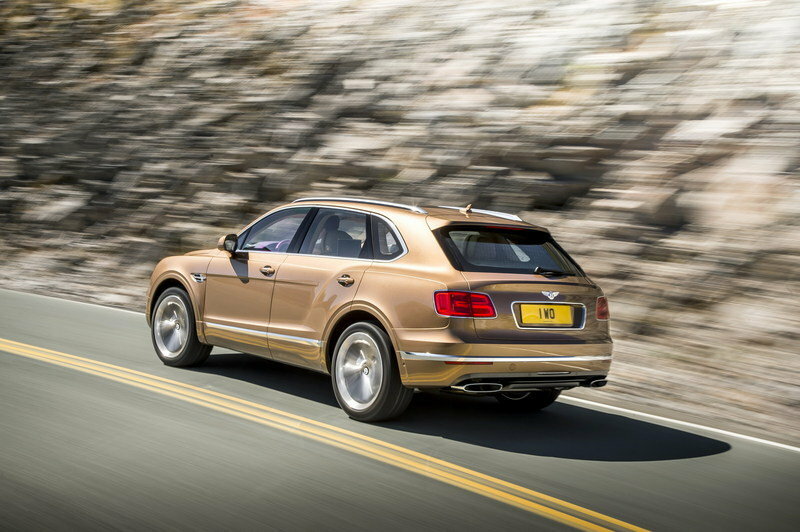 Framed as the “fastest, most powerful, and most expensive SUV in the world,” the Bentayga doesn’t disappoint. 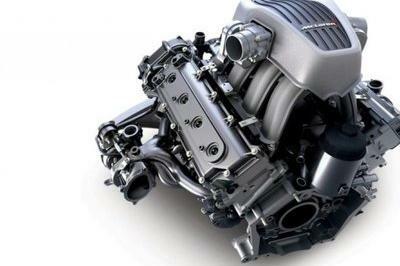 Under the hood is a rip-roaring W-12 powerplant, which generates as much as 600 horsepower and 664 pound-feet of torque. Mated to the 12-cylinder is an eight-speed automatic transmission and high-performance AWD system, blessing the SUV with a 0-to-60 mph time of 4 seconds even. And, as you might expect for an SUV that costs $230,000, the interior is positively dripping with high-end details and top-shelf luxury features. Just like the McLaren SUV, this crossover is the result of our imagination for the time being. 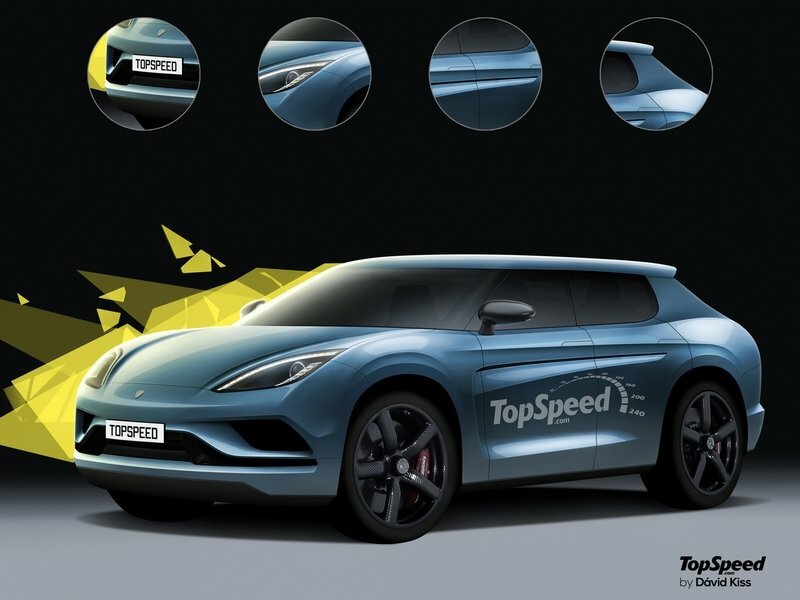 Although Koenigsegg confirmed it is working on a four-door sedan, it did say that an SUV isn’t on its list right now. However, it’s not entirely impossible to happen, especially with demand for high-performance, luxury haulers likely to grow with both the Bentayga and Urus on the market. 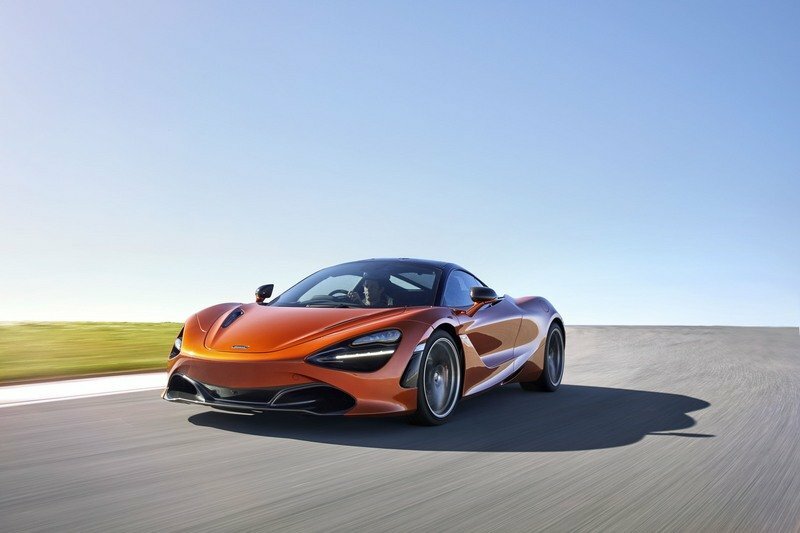 Much like the McLaren, this vehicle will borrow styling cues from the company’s supercars, while the cabin will feature the latest tech and loads of carbon-fiber. Drivetrain options could be diverse and include a twin-turbo 5.0-liter V-8, a hybrid combining the same gas engine with electric motors, and even an all-electric powertrain. Expect the Koenigsegg SUV to have at least 700 horsepower and hit 60 mph in less than three seconds. Pricing is likely to be very high, closer to $1 million before options. 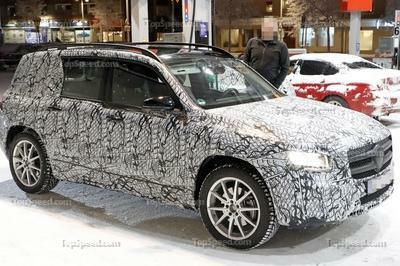 Read more about this SUV in our speculative review here. For now, McLaren seems reluctant to dip its toes into the ever-popular SUV pool, but big things are on the horizon all the same. With as many as 15 new models slated to drop between now and 2022, there’s plenty of wiggle room to offer something different and innovative, with promises of future hybridization stretching the company’s tech department just that much further. So far, so good. McLaren’s order books are filled to the brim, profits are soaring, and it’s struggling to match production to demand. A good portion of that demand is for models like the 570S, framed as a more accessible form of the traditional super sports car offered by the British automaker. The trend then, it would seem, is towards a broader appeal, and if you ask us, nothing appeals quite as broadly as an SUV. 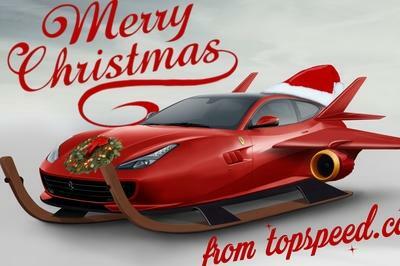 So while McLaren still maintains an SUV isn’t in the cards, you just know something like the above would sell like hotcakes. What do you think, dear reader? Let us know in the comments section.